DALLAS -- A former nurse has been arrested on a murder charge after a patient died and two others slipped into vegetative states at a Texas hospital, according to state and county records. The Texas Board of Nursing suspended William George Davis' license in March. 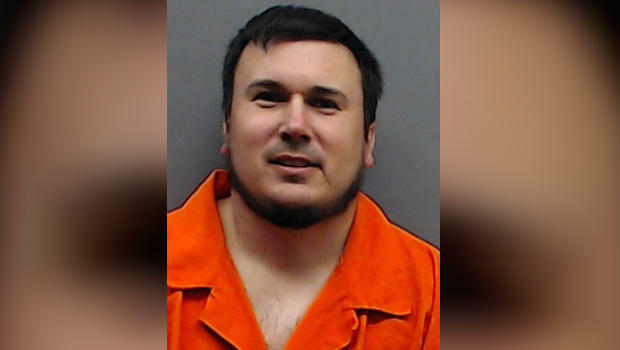 In a detention order, the board determined he entered three patients' rooms at Louis and Peaches Owen Heart Hospital in Tyler and "performed an intervention" that either killed or critically harmed them. The hospital fired Davis in February. A message left for Davis' attorney wasn't immediately returned Wednesday. But a GoFundMe account started by Davis says he's raising money in an effort to fight the state's suspension of his license, an action that he contends was due to "misunderstandings." The campaign on Wednesday had raised more than half of his goal of $10,000. Tyler police spokeswoman Jenny Wells wouldn't confirm Wednesday that the murder charge relates to the death of the patient in August. Police will release additional information later in the day, she said. The suspension order doesn't specify what Davis is alleged to have done to a patient on Aug. 4, but says "the patient immediately deteriorated from their stable condition" and died two days later of an embolism and other complications. The patient was not under Davis' care and he didn't mention to the patient's assigned nurse that he intervened or document it, according to the order. He's accused of going into other patients' rooms, once in November and again in January, and taking "unnecessary and/or inappropriate" actions that led two patients to fall into vegetative conditions. He wasn't assigned to care for either patient. When questioned by administrators following the January incident, Davis said he "silenced an IV that was beeping," pumped up a pressure bag and took other actions, according to his suspension order. He was fired Feb. 15 for "falsification of care events and his unethical practice related to failure to disclose interventions." A spokesman for the Board of Nursing said he couldn't immediately discuss the ongoing Davis investigation. Christus Trinity Mother Frances Health System, which includes Owen Heart Hospital about 100 miles southeast of Dallas, said in a statement that Davis began working for the system in 2013. An investigation began in January when administrators identified "an unusual and unexplained patient outcome." "We believe the issues with Mr. Davis were isolated to him and he acted independently and of his own accord," the statement said.